All of them in costumes and painting! We had good friends over on Halloween for a fun filled get together. This group of friends meets frequently at either someone's house, the zoo or a park. 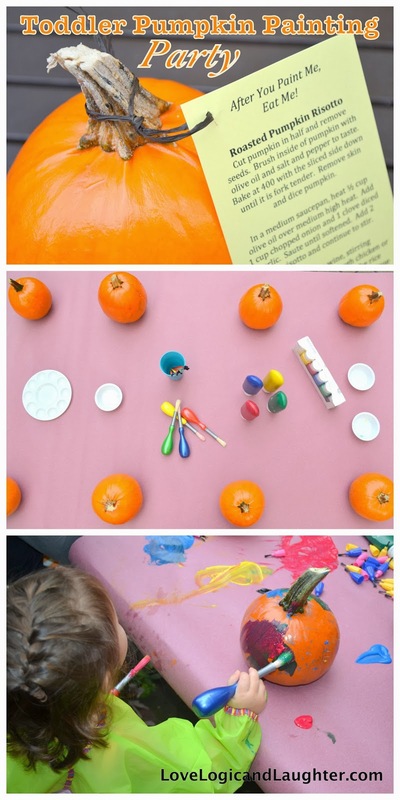 Because this day happened to also be Halloween we filled it with pumpkin painting and costume wearing fun! Fortunately, all of these Moms were totally OK with a little mess! And then we enjoyed some good food around the table! We had to extend the dining room table for this bunch of good eaters! Thanks everyone for helping out - bringing food and goodies to help celebrate! 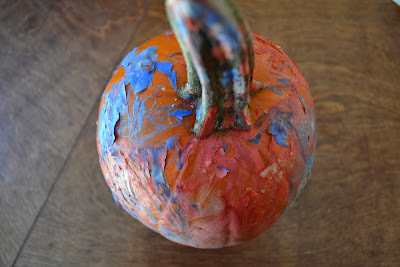 Tip: Before painting the pumpkins spray them with a sealer - otherwise when the paint dries it will peel. I used Aleene's Spray Acrylic Sealer - Matte Finish. I sprayed them one day in advance and let them dry. Happy Halloween and Happy Fall!! !